Whether your dream destination is a sunny coast with crystal clear water, a hike in woods near gorgeous waterfalls, a sophisticated European capital city, a medieval stone fortress, the ruins of a Roman Emperor’s palace, or a friendly sidewalk café with fresh seafood, delicious local wine, and a relaxed Mediterranean vibe – Croatia has it. 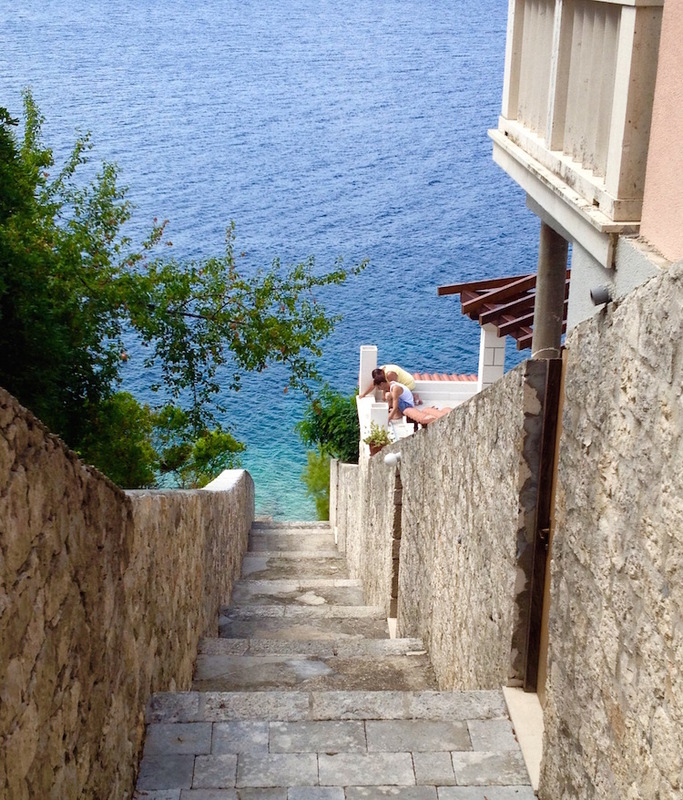 Croatia is like Italy for less – less money, less crowded. Croatia belongs on your bucket list. Here are some reasons way. Croatia, part of the former Yugoslavia, has a long, beautiful rocky coast along the Adriatic Sea. The pristine water is vibrant shades of green and blue. The water is so clean, you can see the rocks and fish at the bottom, and swim from rocky beaches even inside towns. 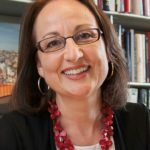 My husband and I left our kids at home in Philadelphia, flew to Croatia, and drove along Croatia’s coast from Split to Zadar. The water was so inviting, we could have stopped every half hour to swim, splash, or just put our feet in the water. Bring swim shoes because the coast is rocky. 2. The Croatian Coast is Sunny Nearly 300 Days a Year. Croatia has more than a thousand islands, all of them sunny. Like Greek islands, each Croatian island has a different personality. Inexpensive ferries between the islands are a fun way to take a short boat ride in the Adriatic with little chance of seasickness, since the ferries are large. You can also travel among islands by smaller boats run by the many sailing companies. Along the Croatian coast, we visited sunny, beautiful big cities, small towns, fishing villages, and a sleepy, family-oriented island, Korcula, which was not crowded in June. 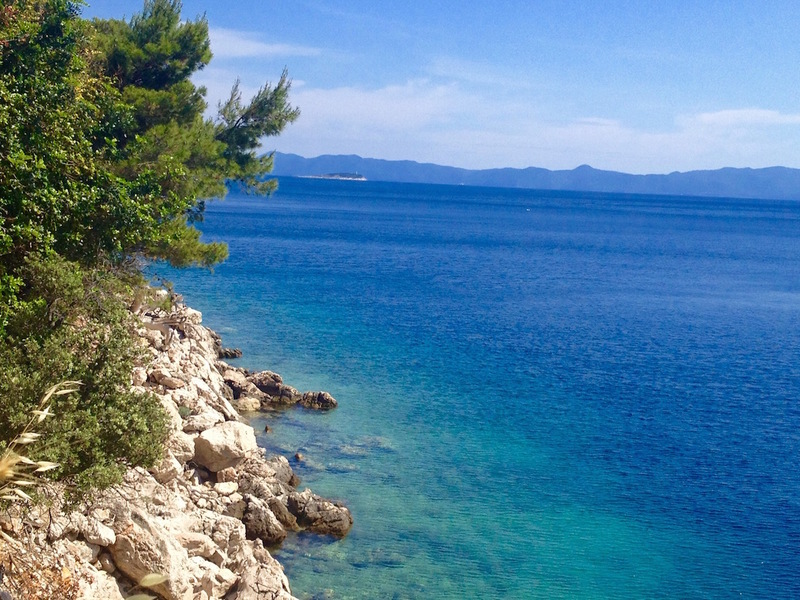 You’ve probably beautiful snippets of Croatia standing in for the kingdoms in Game of Thrones. 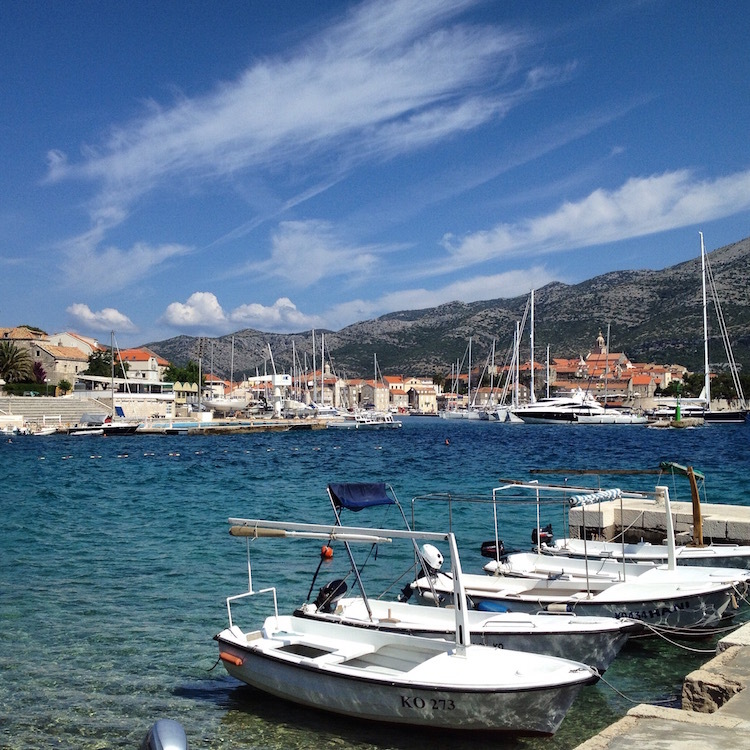 If you enjoy medieval stone towns and fishing villages in Italy, you’ll love exploring Croatia. 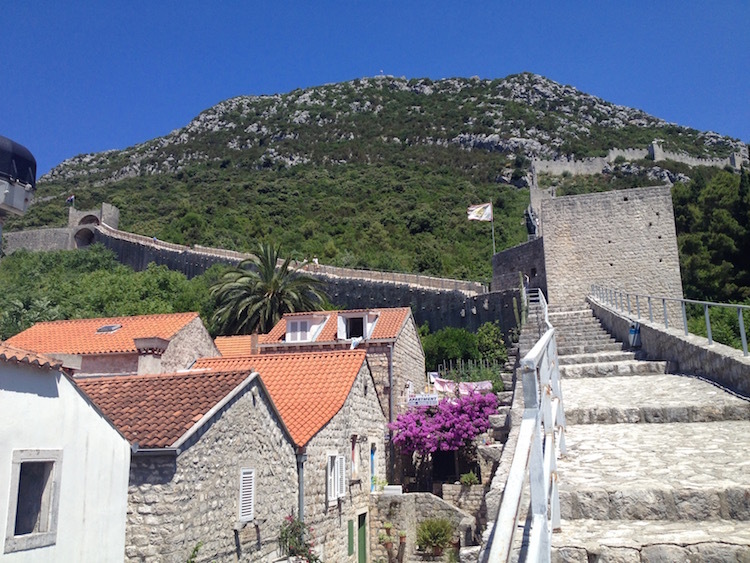 Croatian medieval towns surrounded by stone walls, like Ston, Korcula, Trogir, or Dubrovnik, are a leap back in time. Their limestone buildings reflect the brilliant Mediterranean sunshine and the orange tiled roofs of their houses contrast with the bright blue sky. Climb the town walls, church towers, or up to the hilltop cemeteries for spectacular views in the medieval towns of Croatia. For more on Dubrovnik, and how spots are recognizable as filming locations for Game of Thrones, click here. 4. In Croatia, You Can Stay in the Ruins of a Roman Emperor’s Palace. In about 305, Emperor Diocletian retired to a sprawling palace that housed about 4000 people. Most is in ruins now and, at various times, the palace was abandoned. But for the past several hundred years, it has been continuously inhabited, altered, and rebuilt by successive settlers. The palace is the core of the old city of Split. The courtyard at the entrance to the palace is lined with ancient columns and each evening is a gathering place to enjoy live music and drinks. Split would be indecipherable ruins without a good guide. We lucked into an excellent guide, a Split native and Italian professor who speaks fluent English, is hilarious, and let us pepper him with questions ([email protected]). 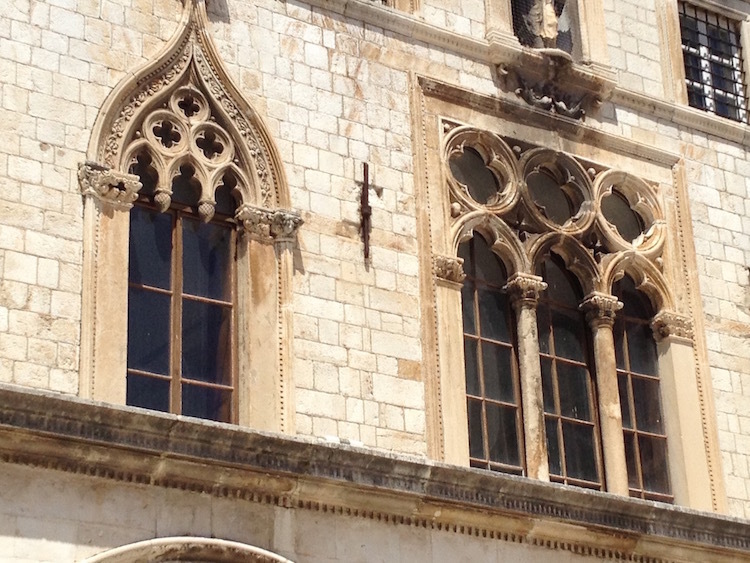 For more on Split, Croatia, see here. Do you enjoy exploring sophisticated European cities? If you like visiting cultural capitals and enjoy the architectural splendor of a Central European city like Prague or Budapest, you’ll like Croatia’s capital, Zagreb. Plus, Zagreb is cheaper and less crowded than other European capital cities. 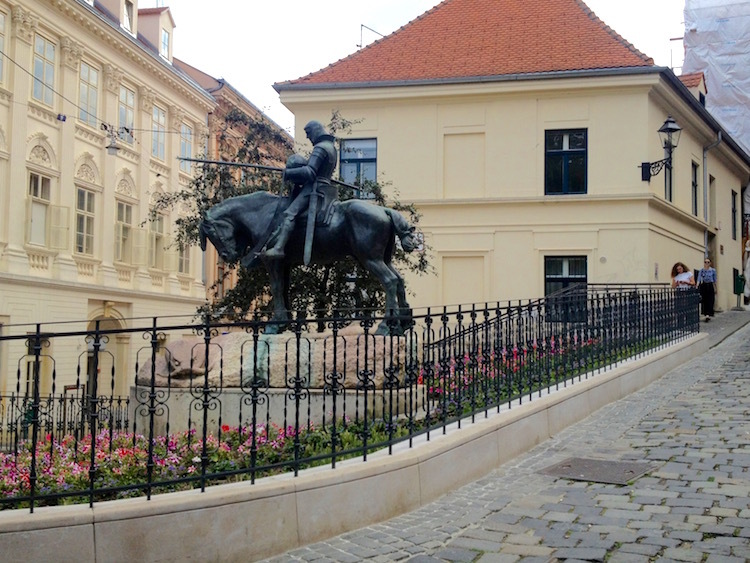 For more on the museums, sidewalk cafes, and architecture of Zagreb, click here. 6. You’ve Never Seen Water as Vividly Bright Green as Plitvice Lakes. Plitvice Lakes National Park is a uniquely beautiful series of lakes and waterfalls nestled in a canyon surrounded by hiking trails and forests. The water is a striking bright green because the lake bottom is not mud – but travertine marble. It is no wonder this Park is a UNESCO world heritage site, as well as a fun place to spend a day hiking. Click here for more about this natural wonder in Croatia. Nobody warned me about the delicious food in Croatia. We ate fresh fish, seafood, local produce, and pasta. All served with wonderful Croatian wine, much produced in the wine region near Dubrovnik. Croatian food and wine is similar to Italy – after all, much of Croatia was dominated by Venice for hundreds of years. But it is less expensive in Croatia. 8. Life on the Coast of Croatia Takes a Relaxed Mediterranean Approach. On vacation, do you enjoy lingering over morning coffee to plan your day? Do you like to mark each sunset as an event, by sipping a glass of wine from a spot with a good view? If soaking up sunny weather by eating at relaxed sidewalk cafes, spending time outside, and slowing down the rhythm of life appeals to you, Croatia is for you. In some of the sleepy coastal villages we visited, like tiny Jablanac, it seemed like a big event when a local farmer arrived in town to sell her vegetables. Before visiting Croatia, it helps to know a little of the country’s recent, tragic history, when it fought a war to become independent in 1991-95. The Zagreb City Museum has a short film with a chronology of the war and displays the shattered remnants of a room destroyed in the bombing of the presidential palace. The Homeland War is past but memories are fresh. On our visit this summer, one tour guide told us about his wartime combat experience, fighting with a machine gun in the same scenic mountains where he was then driving us. Later, at a restaurant in a fishing village, our waitress told us that she’d arrived in the quiet town as a refugee from a war-torn part of Croatia during the Homeland War, and how uneventful life in the village had restored her sense of calm. You may want to read a lyrical introduction to life during wartime in 1990s Croatia, The Tiger’s Wife by Tea Obrecht. The sad but very funny memoirs of Slavenka Drakulic, Cafe Europa: Life After Communism and How We Survived Communism and Even Laughed, give a good sense of place and a personal take on the Communist and post-Communist history of Croatia. From its rocky beaches to its walled medieval towns that doubled as fortresses to its Alpine interior and urbane capital, Croatia has something to appeal to most travelers. 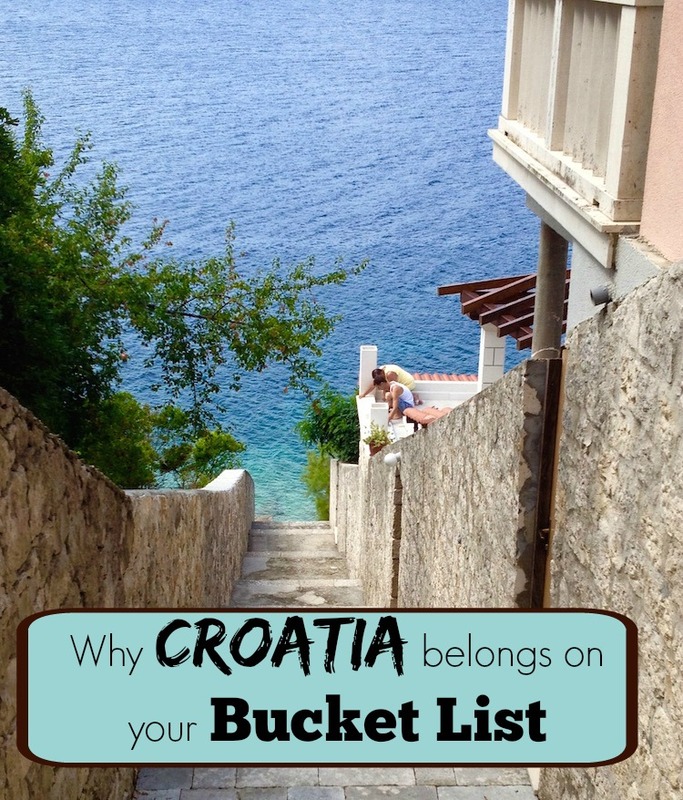 Does Croatia belong on your bucket list? What appeals to you about the coast or interior of Croatia? Tell us in the comments section.